I recently tried out this great copper cup from The Kicking Mule. I love these new copper cups. I recently saw them on a design show where the designer was using them as the decorative piece in a kitchen, but I loved that they were usable. I am not the type to have extra items in my kitchen for decor, it needs to be usable! So I love these copper cups. I really like that after you use them they become aged and look worn. I love the look of them. The more worn the more interesting it becomes. Apart from the use of them as a decorative piece they also are great cups. The copper has a property that keeps drinks extremely cold for a long period of time. Mine lasts for hours! There is not any nickel, steel, or tin so you don’t have to worry about any negative chemicals getting into your drink. They are completely safe to use. We use ours all the time, it’s our main drinking cups in the kitchen. These are perfect for traditional mule recipes (search them on google or YouTube you will find some fun recipes). I was unfamiliar with them but really loved some of the recipe ideas. We tried some though and love them. LIMITED TIME LAUNCH OFFER – 30% OFF OF MARKED PRICE – OFFER WILL END SOON! AUTHENTIC MOSCOW MULE MUG – HANDCRAFTED BY ARTISANS – Each mug is individually handmade and expertly crafted by an Indian team of master coppersmiths. You will never get two exactly the same! BAR / RESTAURANT QUALITY PREMIUM STYLE MUGS – High quality with a unique hammered style and stylish stainless steel handle, The Kicking Mule mugs are made from 100% heavy gauge solid copper, 16 ounce, unlined (no nickel or tin) and are coated with a food safe lacquer to help preserve beauty and luster. You will not find finer barware. ICE COLD DRINKS WITH A KICK! 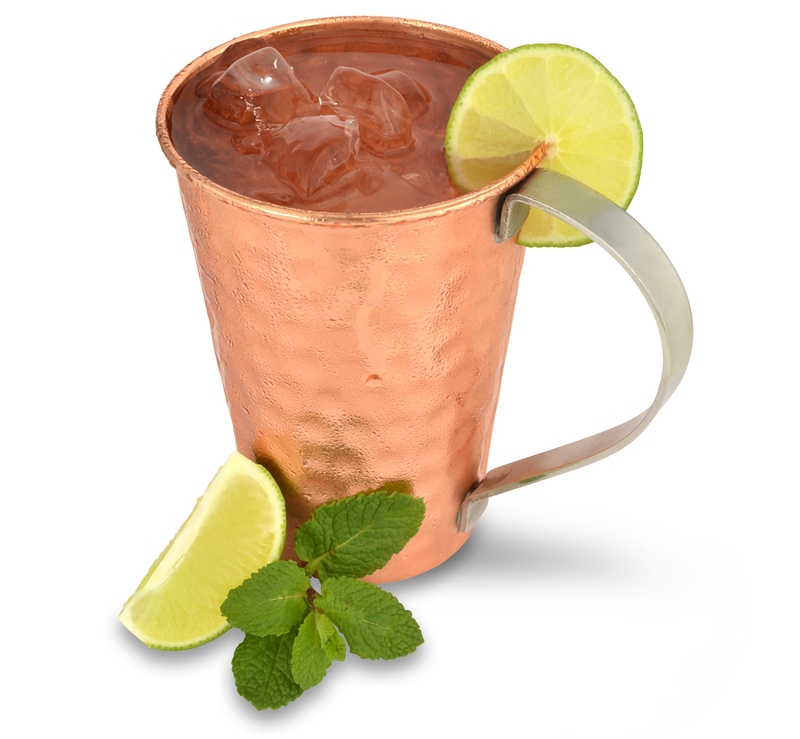 – Watch your mule mug frost up when you add ice, vodka, and ginger beer – heavenly! Try it with water, iced tea, whisky and any other drink you take with ice. Maybe try it with another cocktail such as Mint Julep or Kentucky Mule. GREAT FOR ENTERTAINING AND GIFT GIVING – You won’t want to put them in a cupboard because they look so cool. The mugs are a conversation piece at home parties and makes perfect novelty drinkware to give at a birthday, wedding or at Christmas. They come with a gift box and care instructions. GUARANTEED QUALITY – We offer a LIFETIME WARRANTY as we are not happy unless every customer is 100% satisfied. Also to get the most out of your stunning mug we have included a free Recipe eBook and Bartenders guide (eBook) to get you started.